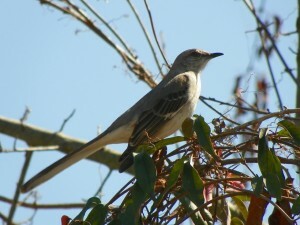 The mockingbird is a very interesting bird, because it often mimics the sounds of all other birds! Mockingbirds are typically most often heard chirping and singing at odd hours of the night. The symbolism of a mockingbird can give you a lot of insight into your dreams. If you connect with a mockingbird as a spirit animal or power animal, there may be some valuable wisdom that can help benefit you in your current life. What Wisdom Does the Mockingbird Tell Us in Dreams or As a Spirit Animal? While the mockingbird may not be the first animal you think of when it comes to sprit animal guides, you can learn a lot from the message of the mockingbird as a dream symbol or spirit guide! Mockingbirds often copy the sounds of other birds. If you dream of a mockingbird, it can mean that you need to stay true to yourself and to find your true path in life. The mockingbird begs us to ask: What is the song of your heart? What brings you joy? Sometimes a mockingbird will appear in your life when you need to stop thinking about what everyone else is doing and you need to focus on your own calling. This bird in our dreams often symbolizes we need to find our own voice. It can be about finding the confidence to identify and share your unique gifts with the world. Each of us has our own sacred song - the mockingbird is present here in your life now to give you the support you need to identify it and share it! What Are Some Common Mockingbird Dream Meanings? Sometimes a mockingbird can appear in our dreams to give us subtle clues for what is happening in our real life in the physical world. One common meaning for this bird in dreams means that you might feel like you are being imitated or copied. It might seem like someone else is taking the credit for all of your hard work. Of course, if you dream you are a mockingbird, this also may mean you may subconsciously feel like you are imitating someone else or taking credit for the efforts of others. To understand your dreams, it is important to take into consideration all of the other symbols and look at the overall mood and tone of the dream. This can help you better understand what your dreams may mean. Do you have any experiences with a mockingbird as a dream symbol or spirit animal? What wisdom of the mockingbird would you like to share? Tell us your thoughts in the comments section below!